The Marco Governali Flight Simulator. This Calgary man has built a 747 flight simulator… in his basement! So, I build a lot of weird and wonderful things down in my Calgary basement. But there is another guy in town that has me beat, hands down. Meet Marco Governali. 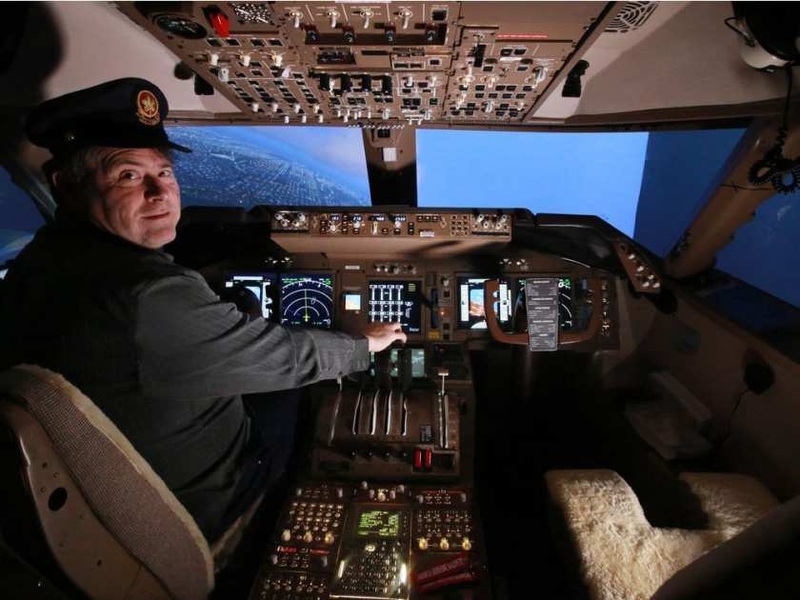 This maker has built a complete Boeing 747 flight simulator his basement. While I try to limit my projects to things I can accomplish in a few weeks or months, this project evolved over 25 years. And it’s not finished yet. While I try to keep the costs of my projects to under a few hundred dollars, this one cost $25,000 in parts and materials. Most of the work on this particular simulator was done over the past five years. Many of us have played with PC flight simulators over the years, including fighter combat. It takes a lot of practice to get good at these simulations. With a good understanding of physics and math, it’s not all that hard to model flight at the basic level. But to model the performance of a specific airplane takes things to a higher level. Flight simulation takes a lot of computing power. Particularly challenging are the scenery graphics. Over the past 35 years, the Microsoft Flight Simulator has been sort of the gold standard for home use. This software is the engine under the hood for Marco’s project. Albeit with a lot of modifications made by him. Marco has a number of videos on You Tube. This one provides a complete description of how it works. And here is a view of how the simulator was constructed. You can read the news stories about him at CBC or Calgary Herald. If you really want a deep dive into the details, visit his web site. What an incredible home renovation project. Thankfully, it looks like he chose not to install hydraulics.